Ingwe Health is just one of the many medical plans offered by Momentum Health. The Ingwe Health plan is specifically for use by students and their beneficiaries. The scheme is open to both local students and students form abroad. The Ingwe Health plan is just one of the many cheap medical aid schemes on offer from the various medical aids in South Africa. With the rising cost of medical services in South Africa, more and more people are opting to take out a medical plan. Employers often include a medical plan as one of their benefits for employees. However, medical plans are also becoming expensive, and especially if you are a student or on a low income. It is for this reason that schemes like the Ingwe Health plan have been introduced. Discovery medical aid for instance, offers their KeyCare Series which is one of the cheapest medical aid plans available for people on low income. Before joining a scheme you need to do some research. With 86 medical schemes in existence, it pays to carry out some medical aid comparisons. You need to compare both the cost and the benefits provided to determine which is the best medical aid plan for you. Momentum Health was founded in 1966. Since then it has grown considerably by merging with or acquiring other medical schemes. Ingwe Health Medical Aid was amalgamated with Momentum in October 2010. 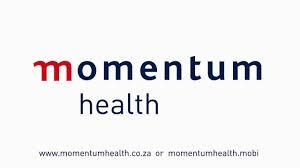 Momentum Health is currently in the top five of medical aid schemes in South Africa. Only the Bonitas Medical Fund and Discovery Health have more members and beneficiaries. As well as the Ingwe Health plan, Momentum offers five other plans. The Access Option is the Momentum Health hospital plan and is another example of affordable medical aid. TheIngwe Health plan is a low cost student medical aid plan. Students tend to have a limited amount of money. It is therefore important that they have access to cheap medical aid. The Ingwe Health plan aims to provide just that. The benefits are of course lesser than those of a more expensive package. However, students are young and generally in good health. Therefore their medical needs are likely to be much less than those of a person more advanced in years. It is unlikely that they should need chronic medicines. The monthly premium for 2015 for the Ingwe Health plan is R349 per adult and R191 for each child dependent. For this Ingwe Health members are provided with up to R1 060 000 of hospital cover for their family per year. Any of the “Ingwe Any” or “Ingwe Network” private hospitals may be used. Should you want to get have even lower monthly premiums, you may opt to use only State hospitals.